Dimensions 1 by 6.50 by 9.60 in. An eye-opening account of the transformation of cities and an urgent call to action to prevent another crime wave. Over the past two decades, American cities have experienced an astonishing drop in violent crime, dramatically changing urban life. In many cases, places once characterized by decay and abandonment are now thriving, the fear of death by gunshot wound replaced by concern about skyrocketing rents. In 2014, most U.S. cities were safer than they had ever been in the history of recorded statistics on crime. Patrick Sharkey reveals the striking consequences: improved school test scores, since children are better able to learn when not traumatized by nearby violence; better chances that poor children will rise into the middle class; and a striking increase in the life expectancy of African American men. 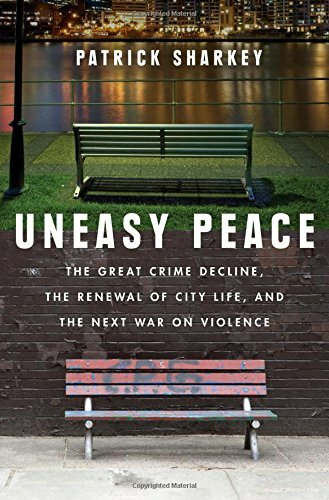 Sharkey also delineates the combination of forces, some positive and some negative, that brought about safer streets, from aggressive policing and mass incarceration to the intensive efforts made by local organizations to confront violence in their own communities. From New Yorkâs Harlem neighborhood to South Los Angeles, Sharkey draws on original data and textured accounts of neighborhoods across the country to document the most successful proven strategies for combatting violent crime and to lay out innovative and necessary approaches to the problem of violence. At a time when crime is rising again and powerful political forces seek to disinvest in cities, the insights in this book are indispensable.